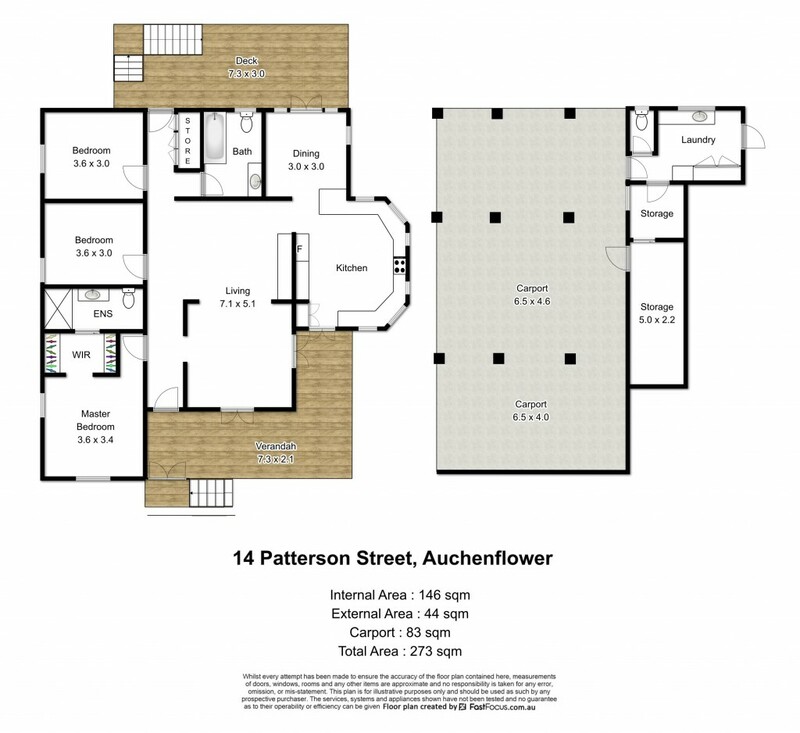 Commanding a lofty position in inner city Auchenflower is this delightful and beautifully proportioned Queenslander that is blessed with an enduring charm. The property is in a quiet and sought after neighbourhood, sitting on a generous 488m2 block with a 20metre frontage, creating an attractive and timeless street appeal. An L-shaped verandah to the front offers a wonderful spot to relax and entertain, while enjoying sweeping views over the surrounding suburbs. Inside you will find a large and free-flowing layout and soaring ceilings add to the sense of space. The kitchen is large and has plenty of storage and a breakfast bar. There are stylish stone benchtops, an extra wide freestanding Ilve cooker and an Asko dishwasher. An adjoining meals area has direct access to the wide rear deck, with stairs down to the flat backyard, creating an easy indoor/outdoor environment and offering plenty of room for children to play. There are three generously sized bedrooms, including the Master, which has a walk-in robe and ensuite bathroom. The main bathroom has been recently updated and has a bathtub. The elevation ensures this property receives lovely breezes, however there is also ducted a/c throughout for year round comfort. Underneath the house you will find laundry facilities, a third toilet and a huge secure storage area and workshop. There is double car accommodation and room for more vehicles to park off street. The location is superb. This is an in-demand residential area, popular with a range of buyers. It is conveniently close to the shops, transport and lifestyle offerings of Rosalie and Toowong and it currently sits in the Rainworth State School catchment.